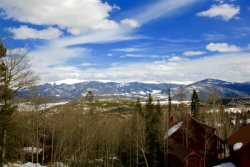 Keystone Colorado is nestled off the beaten path of I70, south, and east of Silverthorne. Offering guests true serenity and privacy, our Keystone vacation rentals are unbeatable. With easy access to outdoor activities, hiking trails, biking systems and more, the location is unbeatable! Browse and book available properties today. 5 Bedroom single-family home in Keystone Ranch! Chateau Acadian- 3 bedroom, 2 bath town home. Prime location.